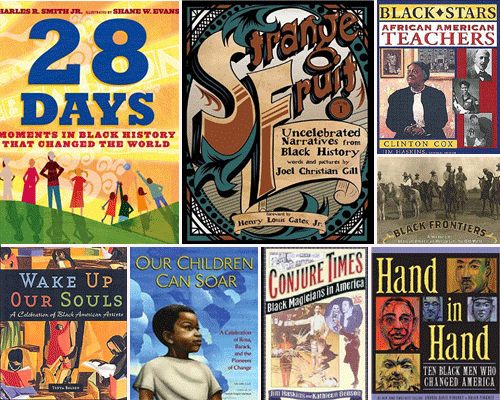 Each compilation has its own theme, providing a straightforward way to introduce children to many great Black Americans. 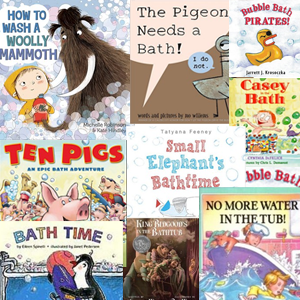 All titles listed were either an award nominee or honor/winner book. A look at many of the men and women who revolutionized life for African Americans throughout history- from Crispus Attucks, who was a slave and a patriot in Colonial Boston, to Barack Obama, the 44th president. 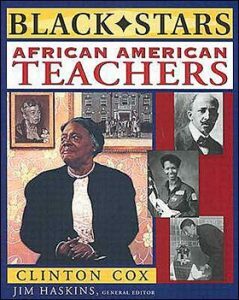 The heroic tales of twenty-five African American teachers, such as Benjamin Banniker who taught math, astronomy, and history by publishing pamphlets during the eighteenth century and Francis Cardozo who did pioneering work in the South with black education. 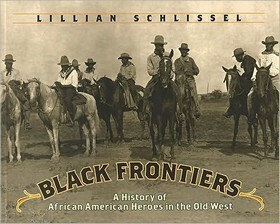 Focuses on the experiences of blacks as mountain men, soldiers, homesteaders, and scouts on the frontiers of the American West. Includes familiar and not as familiar Black Americans. 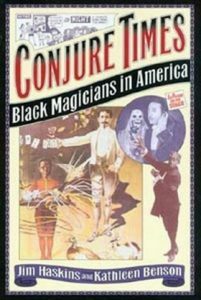 Young fans of magic will enjoy the dancing spoons, disappearing billiard balls and enchanted eggs that add detail to the entertainers’ lives and to significant aspects of black history in this history of black magicians. The book begins in the 18th century with Henry “Box” Brown who was shipped to freedom in a crate, and ends with David Blaine, a successful modern-day phenomenon. 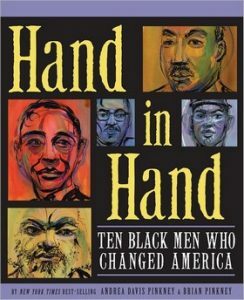 Ten significant black men from various professions- from politics to baseball- are profiled in Pinkney’s book which includes powerful poems about each. 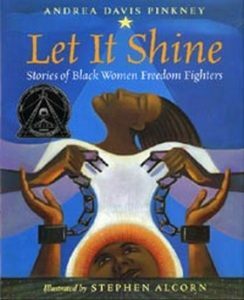 Profiles ten African American women including Rosa Parks, Harriet Tubman, and Shirley Chisholm, whose courageous acts against oppression made them leaders in the battle for civil rights. A poem of African American history based on a saying during the 2008 presidential campaign. 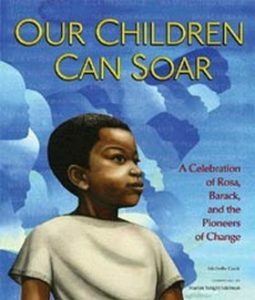 African-American ancestors, George Washington Carver, Jesse Owens, Hattie McDaniel, Ella Fitzgerald, Jackie Robinson, Rosa Parks, Ruby Bridges, Martin Luther King Jr., Thurgood Marshall, and Barack Obama are mentioned. 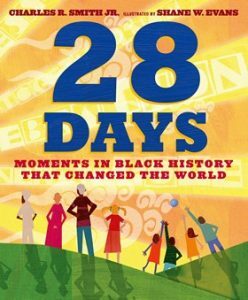 A collection of stories from African American history that exemplifies success in the face of great adversity. 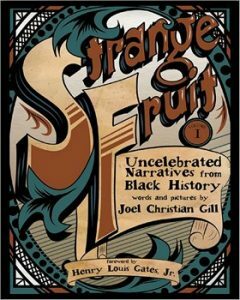 This unique graphic anthology offers historical and cultural commentary on nine uncelebrated heroes whose stories are not often found in history books. 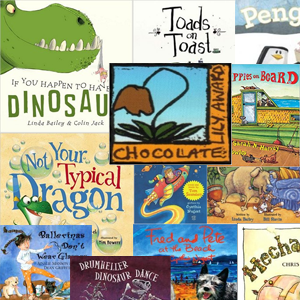 Among the stories included are: Henry ‘Box’ Brown, who escaped from slavery by mailing himself to Philadelphia; Alexander Crummel and the Noyes Academy, the first integrated school in America, established in the 1830s; Marshall ‘Major’ Taylor, a.k.a. the Black Cyclone, the first Black champion in any sport; and Bass Reeves, the most successful lawman in the Old West. 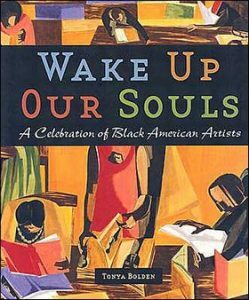 Presents a history of African American visual arts and artists from the days of slavery to the present.